Destination: “The oratory is one of Quebec’s best-kept secrets,” said Guy Cormier, president and CEO of Desjardins Group, who is leading a fundraising campaign for an upcoming renovation at the church. At just over 100 years old, it is one of the newest major churches in Canada. 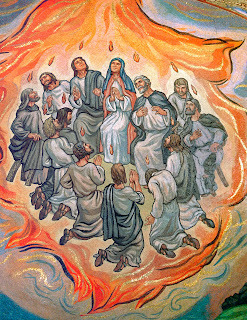 Masses are offered in English in the crypt church Monday-Saturday at 12:15 p.m., Tuesday and Thursday at 7: 30 p.m. (19:30), and Sunday at 11:15 a.m.; Sunday Masses in the basilica are in French at 11 a.m. and 12:30 p.m. Spanish Mass is offered on Sunday in the Crypt Church at 3 p.m. (15:00) following adoration and the rosary at 2 p.m. (14:00). Why to go: From the small Chapel of Origin to the great Basilica, the beauty and diversity in the architectural heritage of Saint Joseph’s Oratory make it worth a visit before — and probably during — the upcoming renovation. 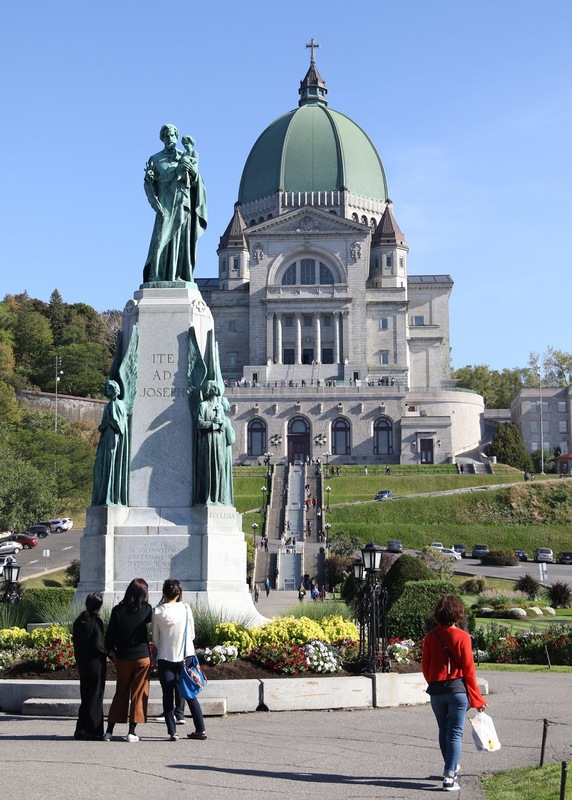 The changes are intended to “modernize many of its infrastructures” and, in 2022, after extensive work, “give a new experience” to the 2 million visitors who visit the oratory each year, Cormier said. St. Joseph Oratory, managed by the Congregation of the Holy Cross, was founded in 1904 by St. Andre Bessette, known as Brother Andre. The oratory is located on Montreal’s famed Mount Royal. Among its musical treasures is its organ, built by German organ maker Rudolf von Beckerath (1907-1976), and ranked among the top 10 in the world. Some of its 5,811 pipes are as long as 32 feet. Built in 1958 and 1959 in Germany, it took seven months to install it in Montreal. 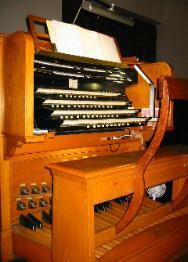 On Nov. 13, 1960, the organ was blessed and played for its first recital by a famous French organist, André Marchal. Accessibility: Elevators, reserved parking and accessible areas throughout the oratory make it accessible to people with limited mobility. (Grand) Kid friendly: Usual church behavior is expected. Cathedral Basilica of St. Louis - St. Louis, Mo. Destination: The Cathedral Basilica of St. Louis is in the heart of the city, blocks from the famous arch. It’s well worth a stop no matter why you travel to St. Louis, Mo. Masses are offered Monday-Friday, 7 and 8 a.m., 12:05 p.m.; Saturday: 8 a.m., 5 p.m. (vigil); Sunday: 8 and 10 a.m., 12 noon and 5 p.m. There are other prayer services offered, too. Check the website. 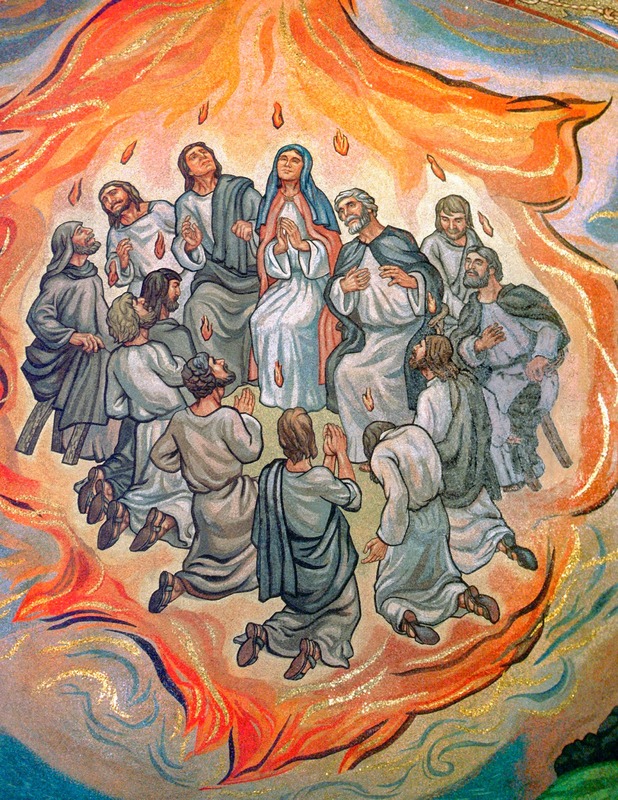 A mosaic of a scene from the Pentecost was completed in 1988 at the Cathedral Basilica of St. Louis. Mosaic work began in the 1920s and was stopped during the Depression and wars. Why to go: While not brand new by any means, this is the newer church dedicated to St. Louis in the city. Then-Archbishop John J. Glennon broke ground for the cathedral in May 1907 and the cornerstone was laid on Oct. 18,1908. The first Mass was offered exactly six years later on Oct. 18, 1914. Archbishop Glennon consecrated the cathedral on June 29, 1926, the centennial of the creation of the St. Louis Diocese. On April 4, 1997, Pope John Paul II designated the Cathedral of St. Louis a basilica, a place of worship of special distinction. He visited the basilica 20 years ago, on Jan. 26, 1999. During his visit, he blessed the door in the rear of the Cathedral Basilica of St. Louis after it was sealed. It would be reopened on Christmas Day 1999 to begin the celebration of the second millennium. The extensive artwork in the basilica is one reason to visit. A mosaic project begun in the 1920s and finished in 1988 adorns walls and ceilings in the basilica. Cardinal Glennon is featured in an ordination mosaic in the Blessed Sacrament Chapel. Before you go, be sure to check the website for one of many concerts scheduled at the basilica throughout the year. Amenities: A gift shop is open 10 a.m.–4 p.m. daily except New Year’s Day, Easter Sunday, Thanksgiving, and Christmas. Accessibility: Most of the basilica, including the gift shop, is wheel-chair accessible but the mosaic museum in the lower floor is not. A ramped, electronically-assisted entrance is on the west side of the basilica. 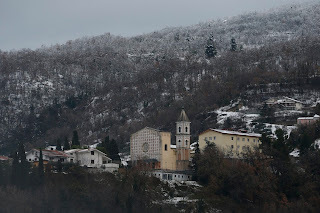 Destination: At the Shrine of the Holy Face in Manoppello, Italy, about 117 miles east of Rome, visitors see a transparent cloth encased between two glass panes within an ornate silver frame above the sanctuary’s altar. Masses are offered at the shrine, but we found no regular times on the website. 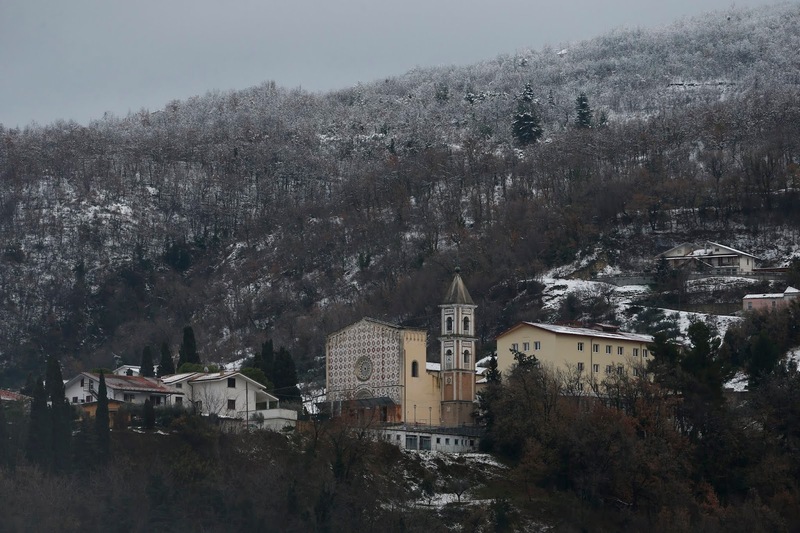 Photos: The Shrine of the Holy Face (left) is in Manoppello, Italy. 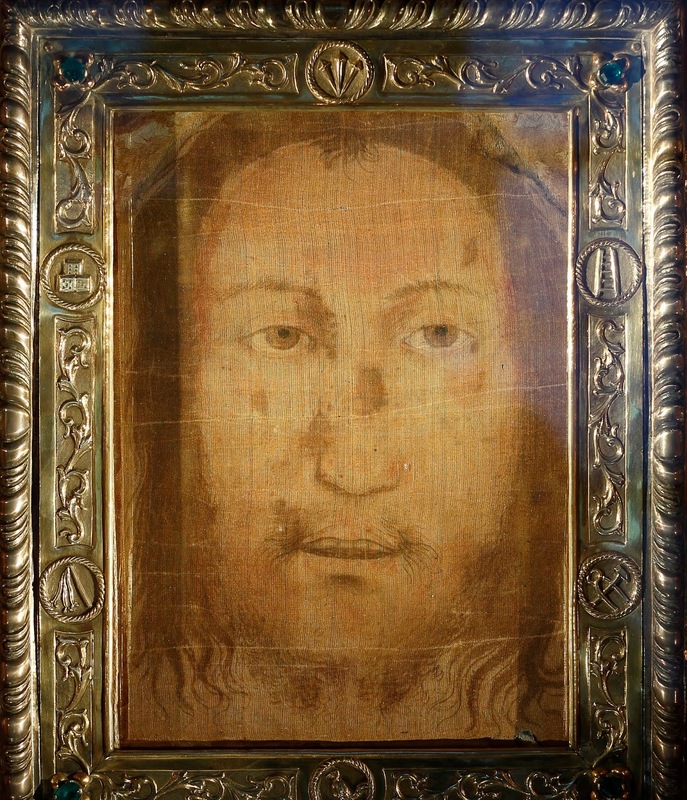 The Holy Face of Manoppello (below right) is on display at the shrine. Why to go: Although the traditional Stations of the Cross include “Veronica wipes the face of Jesus,” none of the Gospels recount a woman wiping Jesus’ face as He carries His cross to Calvary. When he first saw the veil as a young priest in the 1930s, the face looked like the same unidentified man who had rescued him from the rubble of a church after a major earthquake in 1915 when he was a child. Father di Cese died in 1978. 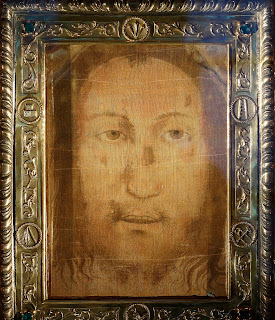 But in 1999 the veil caught the world’s attention when Jesuit Father Heinrich Pfeiffer, an art historian at Rome’s Pontifical Gregorian University, announced at a press conference that the cloth was the true “veil of Veronica.” He said after conducting research, he discovered that the image on the veil could be perfectly superimposed on the face of the Shroud of Turin, the relic many believe is Jesus’ burial shroud. The Vatican does not formally recognize the authenticity of relics like the Veil of Manoppello or the Shroud of Turin. However, since Pope Benedict XVI became the first pope to visit the shrine in 2006 and venerate the image, visits to the shrine have increased. But Benedict made no pronouncement about the image. (Grand) Kid friendly: Of course. Monastery of the Holy Spirit - Conyers, Ga.
Destination: If you head to the southeast, plan a stop at the Monastery of the Holy Spirit in Conyers, Ga. Trappist monks from Gethsemani Abbey in Kentucky set out in 1944 to find a place for a new abbey. Masses in the Abbey Church (above) are Sunday, 7:30 a.m., community Mass; Monday through Saturday, 7 a.m. with Lauds (Morning Prayer). Why to go: A visit to the monastery can provide a glimpse into the lives of the monks. You can see the Abbey Church that took the founding monks 15 years to build. You can also learn about the many occupations of the monks who live there, including their bakery and stained glass studio. You can follow the Prayer Walk to learn about Cistercian saints and feed the ducks at the Monastery Lakes. Trappist monks are members of the Cistercian order, which began as part of a general 11th century movement toward reform, characterized by the desire to detach from worldly entanglements to free the soul for the life of contemplation. They follow the Benedictine Order. Amenities: If you come with a group of at least 12 (and provide four days notice), you can get a box lunch while you’re visiting. Parking and admission are free, but donations are accepted. A monastery shop sells a variety of gifts, including some foods made at the monastery. Hours: The Monastery Visitor Center is open Monday–Saturday: 10 a.m. to 5 p.m. The monastery is open daily except on New Year’s, Good Friday, Easter Sunday, Memorial Day, July 4, Labor Day, Thanksgiving, Christmas and the day after Christmas. The Center closes at 2 p.m. on Christmas Eve and New Year’s Eve. Sharon Boehlefeld compiled this story. Destination: If southwest Texas or northeast Mexico is on your itinerary this winter, consider planning a pilgrimage to the Basilica of Our Lady of San Juan del Valle National Shrine. They are more than ready for visitors. Masses on Saturday are 6:30 a.m. in Spanish, 9:30 and 11:30 a.m. bilingual, 5:30 p.m. in English; Sunday 7 a.m., 1 and 7 p.m. in Spanish, 11 a.m. and 5 p.m. bilingual, 9 a.m. and 3 p.m. in English; weekdays 6:30 and 11:30 a.m., 5:30 p.m. bilingual. 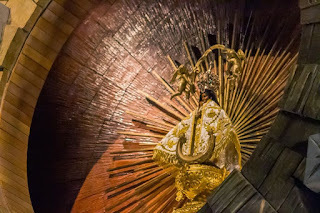 The basilica even schedules regular Masses with mariachi music on Saturdays at 11:30 a.m. and 5:30 p.m., and Sundays at 9 and 11 a.m., 1, 3, 5 and 7 p.m.
Photo: A replica of the Jalisco statue of Our Lady of Los Lagos sits in a niche behind the altar in the Texas basilica. Why to go: The veneration of Our Lady of San Juan de los Lagos is spreading in the Rockford Diocese thanks to the growing numbers of Catholics with roots in Mexico. The original statue from Mexico drew hundreds at four parishes in the Fox Valley in late September and early October. But this Texas basilica is among the first to be dedicated in her honor on what is now U.S. soil. The miracle of the statue is the reason for its importance. According to the shrine website, it took place in 1623 at San Juan de Los Lagos in Jalisco, Mexico. A daughter of a traveling acrobat fell during practice and was killed. A native woman who was caretaker at the church urged the parents to place the image of the Virgin Mary over their daughter’s body and pray for Mary’s intercession. They did so and the child came back to life. In 1949, the pastor at St. John the Baptist Parish in San Juan received permission from the bishop to promote the veneration. He commissioned a copy of the original statue (top of column) from a Guadalajaran artist. While its first two homes were destroyed, it now sits in a niche above the altar in the shrine, which was dedicated in 1980. Amenities: Pilgrim services include a hotel, cafeteria and retreat center. Check the website for details. — Sharon Boehlefeld compiled this story. Our Lady of the Lake - Branson, Mo. 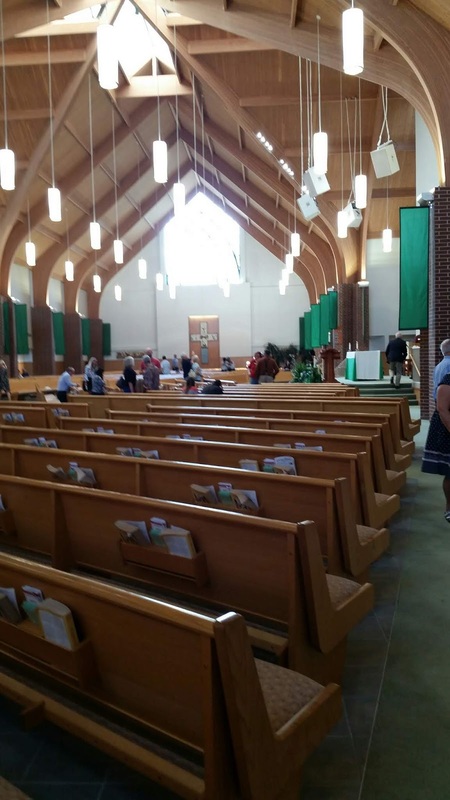 Destination: If you have never been to Branson, Mo., or simply have never been to Our Lady of the Lake Parish for Mass, it’s well worth adding to your trip itinerary. 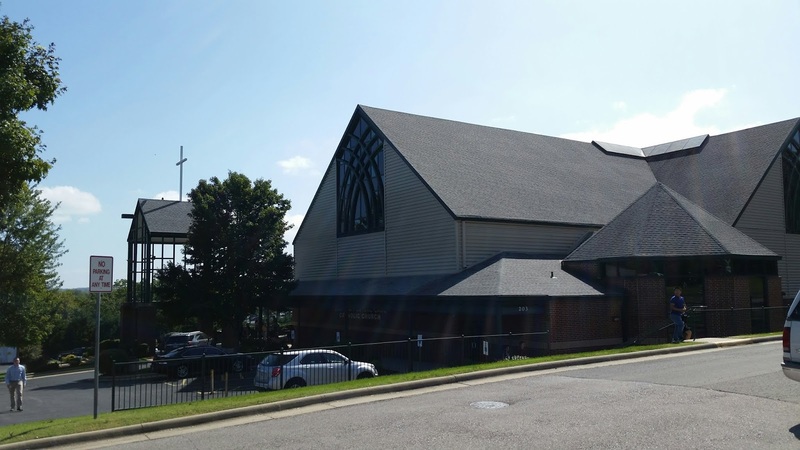 Masses are Saturdays at 5 p.m. in English and 7 p.m. in Spanish; Sundays at 8 and 10:30 a.m.; Mondays, Tuesdays and Thursdays at 9 a.m.; Wednesdays at 5:30 p.m.; First Fridays at 10 a.m. and First Saturdays at 9 a.m. Photos - Above: The exterior of the church from the overflow parking lot across the street. Left: The interior of the church showing the altar along the right wall. 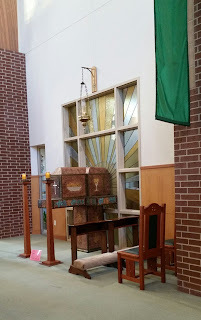 Right: The tabernacle is next to a small area for quiet prayer. In a community dedicated to tourism and entertainment, it will be no surpise that the music at this parish is a bit better than average for the size of the parish. A parish of the Diocese of Springfield-Cape Girardeau, Our Lady of the Lake has grown from holding “sporadic summer time Masses for visiting fishermen and campers, to a bustling family of Catholic Christians who welcome several thousand visitors every weekend,” according to the diocesan website. The Catholic faith, it continues, was planted in Taney County, Mo., in 1915. The parish was dedicated in 1936 by Msgr. James J. McCaffrey. Its first home was a stone structure vacated by Farmers Bank. But the burgeoning tourist base of the local economy led to a need for a much larger church. A new church was dedicated in 1971 by Bishop William Baum. Still, as tourism continued to grow, the building grew too small. In 1993, Msgr. Philip A. Bucher envisioned a church that would serve the parish’s unique needs for many years to come. Today, that chuch welcomes 150,000 “part-time parishioners” to its three weekend Masses over the course of the year. Events: As an active parish, expect the usual kinds of events during your visit. Check the bulletin at the parish website for details. 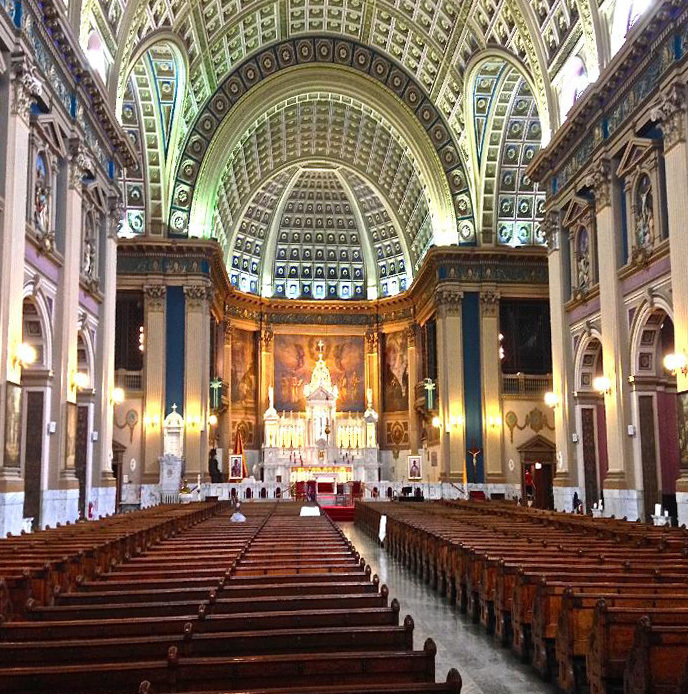 Destination: Chicago is home to three basilicas, one of which honors Our Lady of Sorrows. It is a popular destination for pilgrimages from the Rockford Diocese, but you can visit virtually anytime. Masses in the basilica are offered Sundays at 8:30 and 10:30 a.m.; weekdays at 8:30 a.m.; and Saturdays at 11 a.m. Check the website for holy day and holiday Masses. Why to go: The Parish of Our Lady of Sorrows was founded in 1874 by three Servants of Mary (Servites). Fathers Austin Morini and Andrew Venturi, and Brother Joseph Camera. Bishop Thomas Foley of the Chicago Diocese approved their plans. At the time, the 11 counties of today’s Rockford Diocese were still a part of the Chicago Diocese. Within the year, a brick church 102 feet long, 38 feet wide, and two stories high stood on a plot of land on the city’s west side. Midnight Mass was held there on Christmas Eve, 1874. On June 17, 1890, ground was broken for today’s Italian Renaissance-style church. Though marred by fire in 1984, ongoing restoration has maintained the beauty of the church. 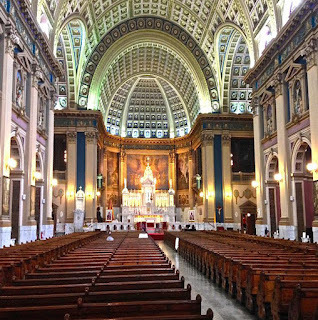 In 1956, Pope Pius XII granted to Our Lady of Sorrows National Shrine the title of basilica. Photos: The interior (above) of the Basilica of Our Lady of Sorrows and its Lyon and Healy organ console (left). Events: Among other regular events, a St. Peregrine Mass and blessing is held the second and third Saturdays at 11 a.m. in the basilica. Every Sunday the Via Matris, The Way of Our Sorrowful Mother, novena is recited at 10 a.m. before 10:30 a.m. Mass. In September, the basilica hosted a gala organ recital celebrating the restoration of its Grand 1902 Lyon and Healy Basilica Symphonic pipe organ, which was made in Chicago. Watch the website for other music events. Because many of these posts are several years old, we recommend you check the websites before you visit to be certain schedules and other details remain the same. Look for new a Destination here and in The Observer in the first issue of each month. When you subscribe to the Observer Destinations blog, you'll receive email from Google FeedBurner to confirm your address. Once you click on the link, you'll receive a new travel destination each month from The Observer, the official newspaper of the diocese of Rockford.